We either love them or dread them, but they are the inevitable: birthdays. Some people throw huge parties, while others would just rather to forget about them. But luckily for most of us, it is the perfect excuse to indulge in some cake. Here in Melbourne, we are fortunate enough to have plenty of cake options, and here are my top picks. This French/European style bakery definitely takes the cake (don't mind the pun) when it comes to creating the most deliciously delicate cakes. They are never overly sugary but sweet enough to touch your taste buds with flavoursome wonder-ness. My favourite cake from Laurent would be the Folie (meaning 'madness' in French), which features a chocolate biscuit base, a chocolate mousse filling with crunchy praline pieces and thin slices of chocolate decoration on top. 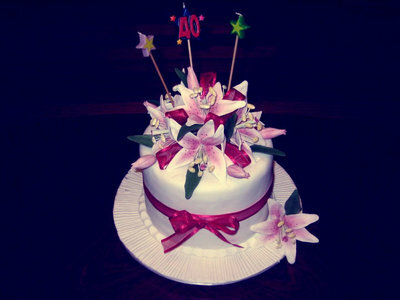 Laurent simply out-does all other cake shops and bakeries, in both taste and presentation quality. With many different cakes, tarts and slices to choose from, Laurent is great for a formal occasion or for that someone special. Woolworths may be a grocery store, but do not overlook their surprisingly delicious Mud Cake which is a definite bargain. There is even a Facebook page dedicated to this Mud Cake, with over 1750 likes. Great to share with a group of friends for a casual birthday, you can even buy the candles and napkins from Woolworths. Michel's Patisserie is another inexpensive place to buy a birthday cake, with many franchises currently having a special deal of only $10 for cake good for around 6 - 8 people. There is a limited selection of flavours though, including cookies and cream, plain chocolate or cheesecake. Michel's also has an online ordering service which may be convenient for some, with the option to add a message with specific cakes. RRAPDD Temptations may be a local business run without a physical shop, but the inventive creations of the shapes of cakes cannot go unnoticed. A Wiggles Car cake, Tiffany and Co cakes, a princess castle birthday cake, a sewing machine cake, RRAPDD does it all and with home-made perfection. As you are able to personalise the theme and decorations on the cake, this is definitely a fun and different way to celebrate your birthday while indulging in a cake in the shape of something interesting. With so many alternatives to choose from, I'm sure everyone can find a cake suited for themselves or for a friend. Remember, even though birthdays mark the end of another ageing year, you must embrace and celebrate the wisdom and maturity that comes with it, and how better to than with some cake. Thanks for writing up this review! It will be very useful for me in the future- usually I just buy a cake from the closest store. My personal favourite out of these would be the cakes from RRAPDD Temptations- the designs are so unique, and the taste of the cakes I have tried had the perfect blend of chocolate and icing. I can't walk past the cheesecakes at Michel's Patisserie either. 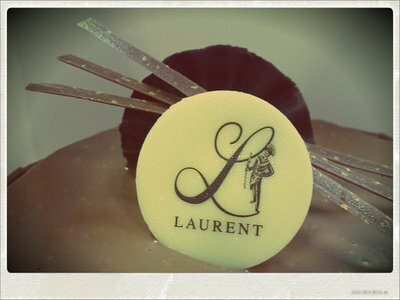 However, I have to say that I don't particularly like the cakes from Laurent, but that may just be because I prefer my cakes to be very sweet.